DIRECTOIRE - CONSULAT - PREMIER EMPIRE - RESTAURATION - P.L. 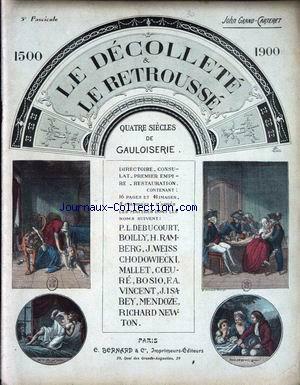 DEBUCOURT - BOILLY - H. RAMBERG - J. WEISS - CHODEWIECKI - MALLET - COEURE - BOSIO - F.A. VINCENT - J. ISABEY - MENDOZE - RICHARD NEWTON.